We had dropped the atomic bomb and Japan and we had devastated the country. The main reason we did was to stop the war and we went in to help them mainly because, we didn't want another “Hitler” to rise up and try to make a dictatorship. When we went in we changed them from a monarchy to a democratic system of government. By doing this we made a constitution and put them on a better track and saved them billions of dollars that they could have wasted on trying to rebuild the country by themselves. Many people who hear about how we bombed Japan think that we were cruel and it wasn’t necessary but if we didn’t they could have attacked us and hurt even more people. So, what we did was just try and end the war quicker so everyone would stop fighting. In Japan there were around 200,00 deaths from the two cities that we had bombed, Hiroshima and Nagasaki. We bombed Hiroshima on August 6th and when the didn't surrender we dropped another bomb on Nagasaki on August 9th. There is a whole reason behind this though; the Japanese bombed Pearl Harbor, because we put an embargo on them for not siding with us in the war. 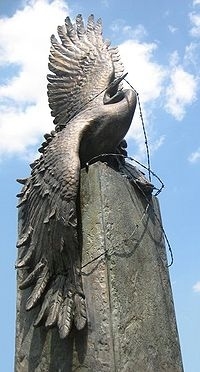 Once Japan was bombed, the county was completely devestated, but in the end with help from the us and other countries, they ended up being better off than they were before. They are now a more market than command mixed economy. This come back has said to be the biggest one in economical history. We helped them because we didn't want someone to try and turn them into a communist country or a dictator to arise.